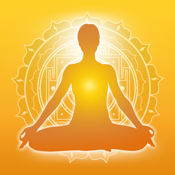 YogaPoint app allows you to build a sequence of yoga positions or yoga poses depending on your health condition, age, weight, physical problems. Our unique personalized yoga programs give you yoga poses suitable for various conditions like prenatal yoga, back problems, ar thritis, weight loss, high blood pressure, diabetes, asthma and many more. YogaPoint app has various practices such as yoga nidra, relaxation for stress, pranayama, breathing exercises, and meditation. These include alternate nostril breathing, ujjayi breathing, bhramari breathing, kundalini & chakra meditation, prana meditation and many more yoga practices.